Mine for Nine, as seen on Ginger Zee! Celebrities don’t always wear expensive clothing. Like most women, Ginger Zee of GMA, wanted to stay fashionable during her pregnancy! Now the secret is out, she has been renting her maternity clothes from Mine for Nine and she looks fabulous! Mine for Nine on the Today Show! Celebrities don’t always wear expensive clothing. Eva Chen, editor at Lucky magazine, demonstrates inexpensive ways to mimic five fashion-forward looks — including Princess Kate's Fuschia Seraphine dress. 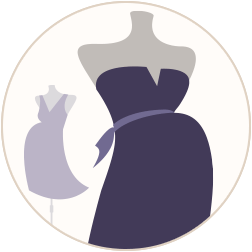 Whether you're attending a black tie event or need work clothes, borrow from our fabulous maternity closet. You can enjoy a little retail therapy — without the guilt! Don’t try to justify buying an expensive cocktail dress when you’re 6 months pregnant; borrow one (or two) to glow at your evening events. 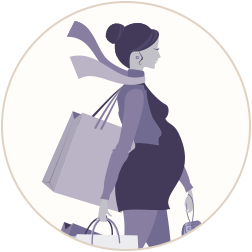 We bring hard-to-find maternity designers to you without putting a dent in your wallet! Love what you borrowed? You can buy it! 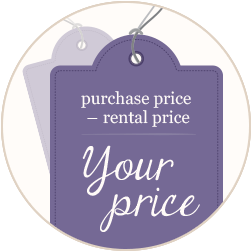 And we'll deduct your rental price from the final cost of purchase price. 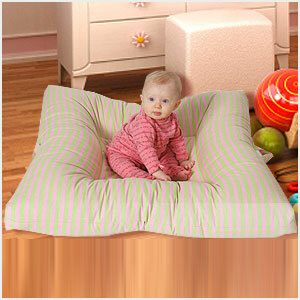 You can also buy swimwear and hosiery to round out your maternity wardrobe. I am very happy with the Mine for Nine service, and I do plan in renting more items from your shop! The dress worked out perfectly by the way... photo attached! Thank you so much. I have loved your service and have recommended it to others. I was quite fashionable during my pregnancy months! I do LOVE the service and have told many people about it. It is the best idea. Really!